 Traffic Grafix is a family owned and operated vehicle wrap and large format digital graphics business. We cover services for the entire state of Texas and offer nationwide capabilities as well. We're dedicated to helping our customers build and grow their brand and business through smart, effective, clean and sophisticated design, impeccable print quality and superior installation services utilizing smart branding techniques and practices. We like to keep it simple and effective when it comes to vehicle wrap design. We want our customer's message to be clear so their customers can identify who they are, what they do and how to get a hold of them. We only print on top of the line vehicle wrap films and utilize superior vehicle wrap and graphics installation methods. We guarantee the quality of our vehicle wrap installations for the life of the wrap so our customers can focus more on their business and less on the little things that tie up production and efficiency. We were established in 2004 and are based in Irving, Texas and will be adding a second location in Denton, Texas with even more services. We have over 15 years of experience specializing in vehicle wraps. We started our business with one vehicle wrap and have now completed projects in over 45 states including Canada and the Bahamas. Whether your needs are local, national, just need one vehicle wrap or need a hundred vehicle wraps we can help. Be sure to check out our portfolio , drop us a message or request a quote anytime 24/7.